If you're looking to bring your pets with you to Lake George, there are many lodging options for you to choose from! Find pet friendly hotels, cabins, cottages, house rentals, inns, and bed & breakfasts that will welcome your dogs and cats. 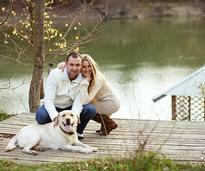 One thing you can be sure about in the Lake George region - we love our pets! Browse the many pet-friendly hotel options available throughout the area. Rather stay in a pet-friendly cabin or cottage instead? There are options throughout the Southern Adirondack region that welcome you and your four-legged companions. The privacy and ambiance of a vacation rental let's you live like a local, and is great for groups or extended families. 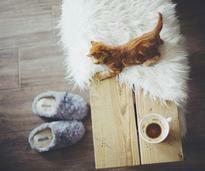 These options understand your pets are family too! 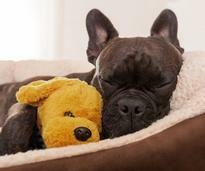 Did you know some Bed & Breakfasts and Inns also allow pets? See which ones are located in the Southern Adirondack Region. 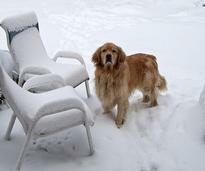 Looking for pet-friendly Lake George lodging that's also open in winter? While the area is busiest in summer, there are many places open throughout the winter and year-round!